To develop Everyday English skills, we take learners on The Great English Adventure with our range of products catering for skills at all levels on the spectrum of literacy. It is designed to improve English skills to bridge the communication gaps in organisations, or to ensure optimisation of opportunities in development programmes where English is the medium of learning. ​1. Understand the challenges and needs within your organisation. 2. Discuss our product scope and match what we offer. 3. Draft and cost a proposed plan. ​(You may need a combination of these services). ELSA is a supervised assessment, especially where English skills are predicted to be below functional literacy levels. Activities are time-paced and candidates are instructed through practice activities to ensure an accurate measure of literacy skills. A trained in-house administrator may use the instrument to administer per standard practice. Alternatively, we can provide ad hoc administrators. The 90-minute Pen & paper assessment is administered in groups. Answer sheets are scanned and uploaded online for scoring within 24 hours. ​Kaleidoprax analyses the group data to determine needs and suggest the optimal development opportunities fused with practical availability. Results and implementation options are discussed with the client. Kaleidoprax will provide a detailed Project Plan and finalised quotation to follow. Facilitators and Coaches are trained and familiarised with the resources and reporting system. Optimal development opportunities to be selected from the Kaleidoprax Literacy Product and Services below depending on where candidates are placed on the literacy roadmap. 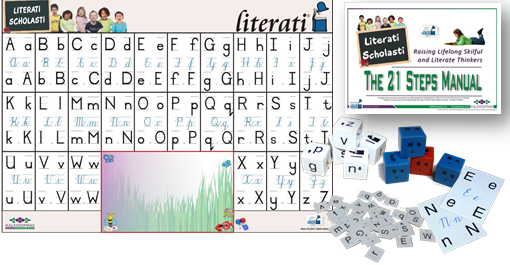 ​Literati is a fun-packed, fast-track board game to teach the skill of reading and writing in the learner’s mother tongue where he has mastered syntax and vocabulary. ​Basic reading and writing skills developed in small groups. Illiterates or those with poorly developed basic reading & writing skills. ​Hands-on English is a graded, modular, holistic, vocabulary enrichment language training programme for functionally illiterate adults. 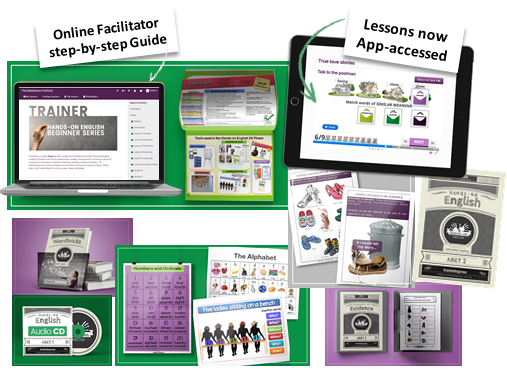 It is facilitator-led with learners using tablets for interactive activities. ​Foundational English skills at Survival skills level in preparation for Functional Literacy. Foundations module – Introducing second language users to English. Beginner module– Taking users to survival proficiency in English. ​80 – 90 contact hours per level, staggered to allow for immersion and application. ​ An online learning programme for second language user adults of all ages to improve their everyday English.